Happy fourth of July everyone! For the first time in a while I am actually in the states for this very American holiday, although today I cooked a dinner of spaghetti squash and a tomato sauce with spinach and tofu crumbles, soooo I’m not as patriotic as most. Nevertheless, since coming back to the states, I have found myself particularly appreciative of various totally random things that you seem to only be able to find in the aisles of massive American grocery stores. Where else in the world can you find 17 flavors of Oreos, 10 flavors of goldfish crackers, 4 flavors of graham crackers, entire aisles devoted to ice cream, and of course, an absurdly large number of different types of chips. I myself am not a fan of the potato chip at all and prefer my chips a bit more pretentious – pita chips, Special K crackers, popcorn-esque chips, haute tortilla chips…you get the drift. One type of chip that I lose all self control around is the beautiful cinnamon sugar pita chip. 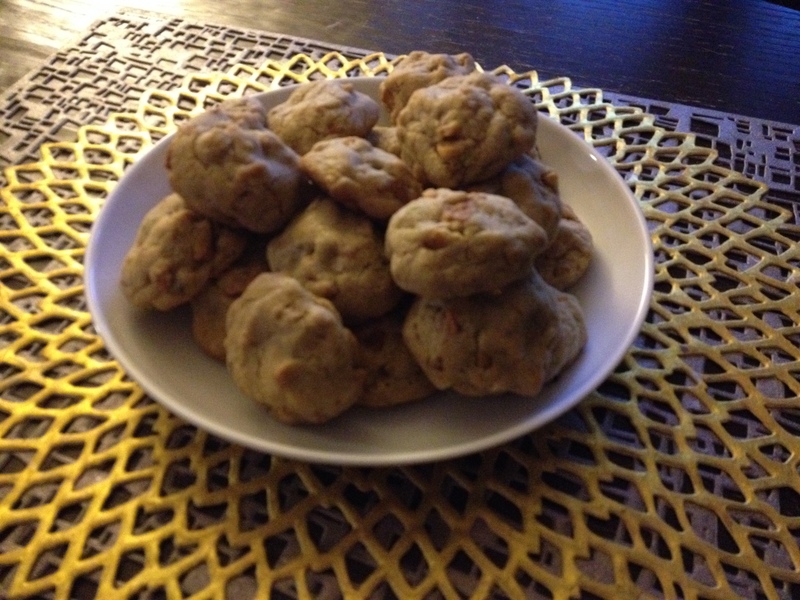 It is the perfect mix of sweet and salty and one day years ago when I got a bag thinking I could perhaps eat it over a few days, I found myself indulging just a bit too much and frantically decided to bake the rest of the them into a cookie dough that I could then disperse among my colleagues. The cinnamon pita chip cookie was born in Boston but I haven’t made it in years, and I thought a fitting time to share it with the world was on this most American of holidays. If you can’t find cinnamon pita chips in various other countries, I”m sure you can work with a substitute. Honestly normal potato chips just don’t make the cookie taste the same way, but even if you had plain pita chips and added a hefty pinch of cinnamon and nutmeg, you’d at least approximate this knockout of a cookie. It looks humble but packs a serious flavor punch. Get ready for your next addiction. 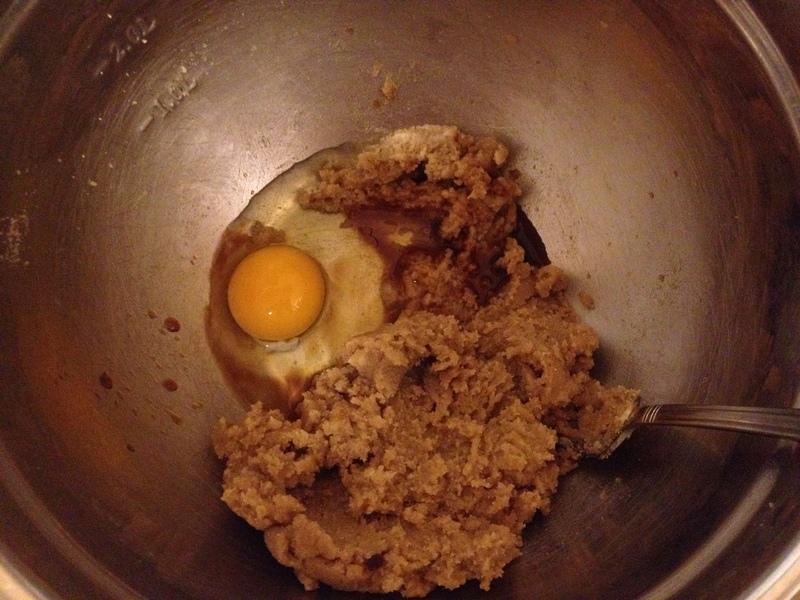 This cookie really just follows any cookie recipe. Start by creaming the butter and sugar together (make sure the butter is softened), and then add the egg and vanilla extract. 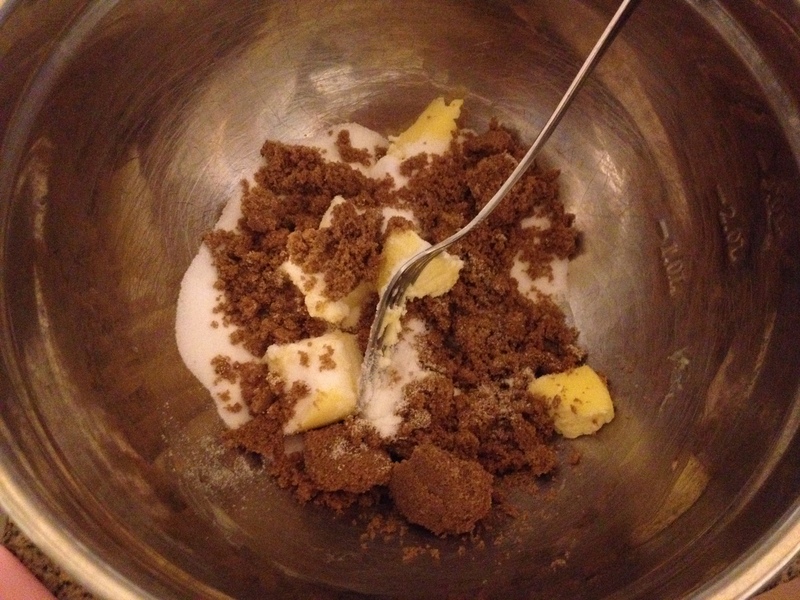 Once that’s all thoroughly mixed, add in the baking soda, sea salt, and cinnamon if using. At some point in the process (probably best to do when the butter is softening), prepare your add-ins. 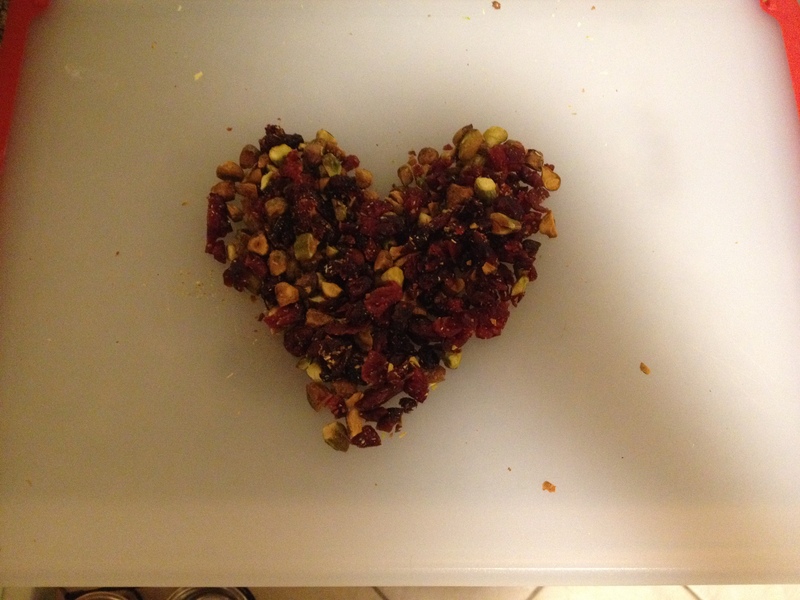 I chopped up pistachios and cranberries for this batch. For the cinnamon pita chips, put handfuls into a plastic bag and use your fingers to crush them into small pieces. If you want to get really physical with the chips bang the bag with a hammer or the back of a bowl. Totally your call. 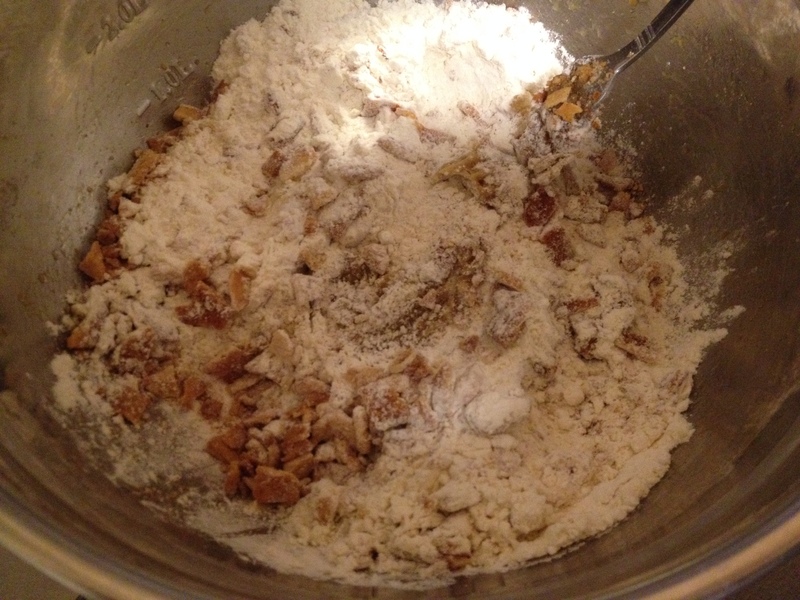 When your add-ins are ready, add a full cup of flour to the mixture, followed by the add-ins. 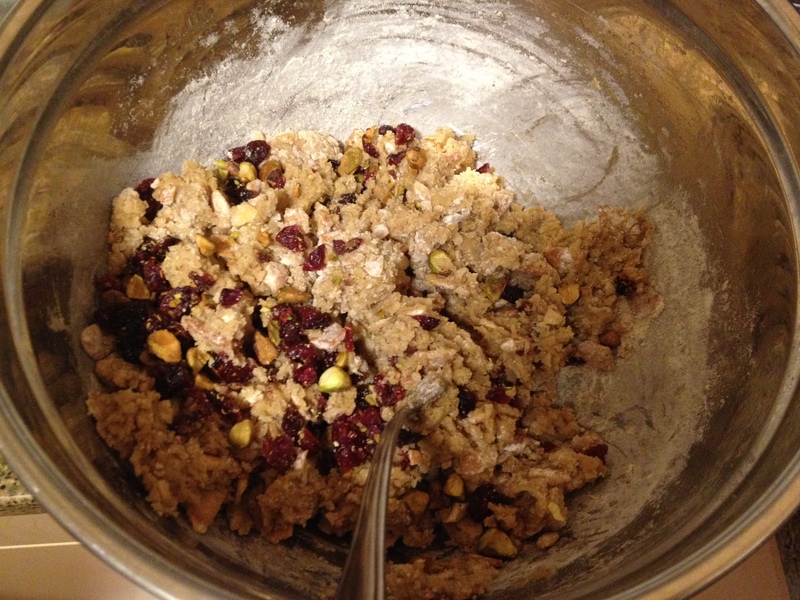 Then add in more flour until the mixture becomes enough of a dough so that you can scoop up little balls of it with your hands. You can pop it in the fridge at this point to harden more (and it will keep in the fridge tightly wrapped for several days – although I don’t recommend this because you will just eat all the dough and not make it into cookies), or you can bake the cookies right away. 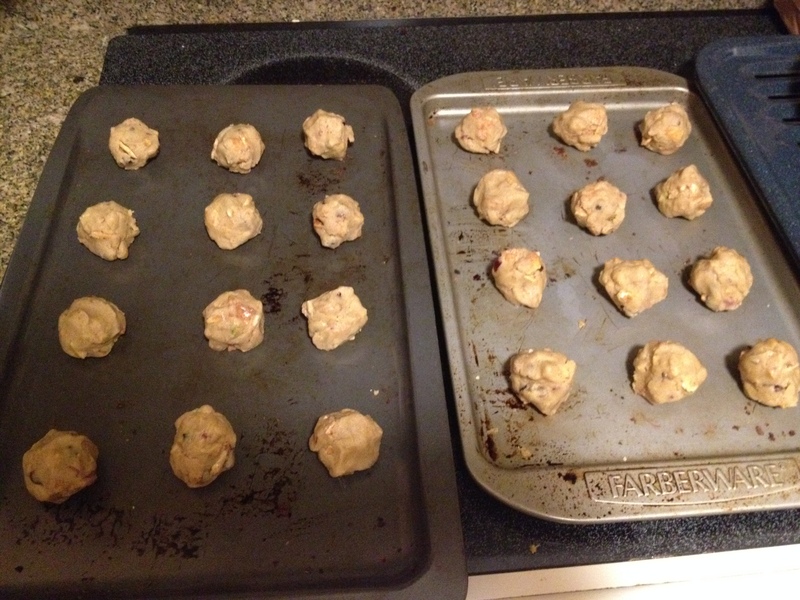 If you choose the latter option, preheat the oven to 350 F / 180 C and then bake them on parchment lined sheets (if possible – you can put them straight on the cookie sheet too if you want) for about 10 minutes. Start checking at 8 in case your oven runs hot. The baking time is also kind of up to you – 10 minutes should produce a fairly chewy cookie, but they definitely harden up as they cool and into the next day. If you bake them on the longer side, it will produce a crispier crunchy cookie, which is not a bad thing – I just prefer them on the softer side. When you remove from the oven, try to let them cool for about 3-5 minutes before diving in…but if you can’t, I understand.